How long does it take to copy a 50-page WORD document with 15 embedded pictures into a SharePoint page? With Paste+ app less than a minute! 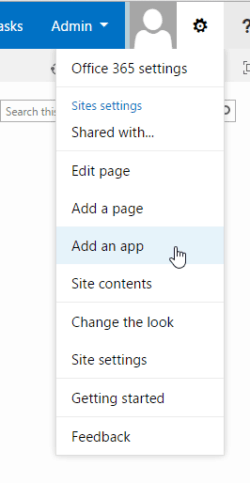 With the SharePoint Paste+ App you can easily copy images and rich-text documents (MS Office documents, PDF, RTF) into SharePoint rich-text fields that guarantees a smoother and faster copy/paste process. 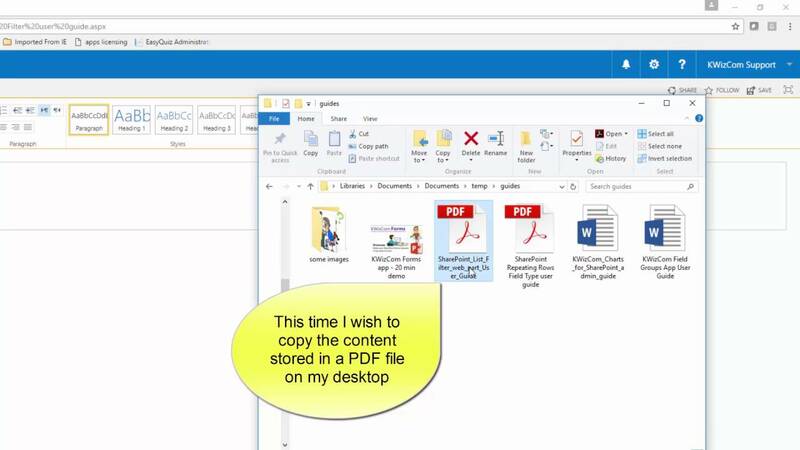 Paste+ app allows SharePoint content editors and contributors to copy pictures from their locals desktop folders as well as rich-text from local Office documents and paste into SharePoint rich-content fields – all in a single copy & paste action, saving a lot of time and preventing mistakes. When migrating a document knowledgebase to a SharePoint Wiki, customers usually struggle with copying material. For example, MS Word documents that include rich-text, tables or images, cannot just be copied to Wiki pages. Paste+ app eliminates this process completely, enabling customers to simply and quickly copy/paste images and rich content into SharePoint rich-text fields. Before installing the app please make sure you are running on a MS Windows desktop. When using the app for the 1st time, you will be required to allow the installation of the “KWizCom Client Agent” executable. This client software enables the app to access the user’s local windows clipboard, where local copied content is stored. Existing Paste+ customers: the “KWizCom Client Agent” replaces the previous ActiveX component that was used to access local windows clipboard. 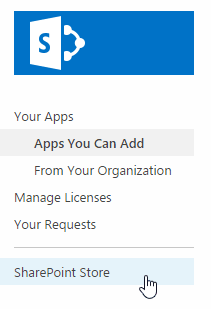 Unlike that ActiveX component that worked only with MS IE, the new client software works with all browsers.